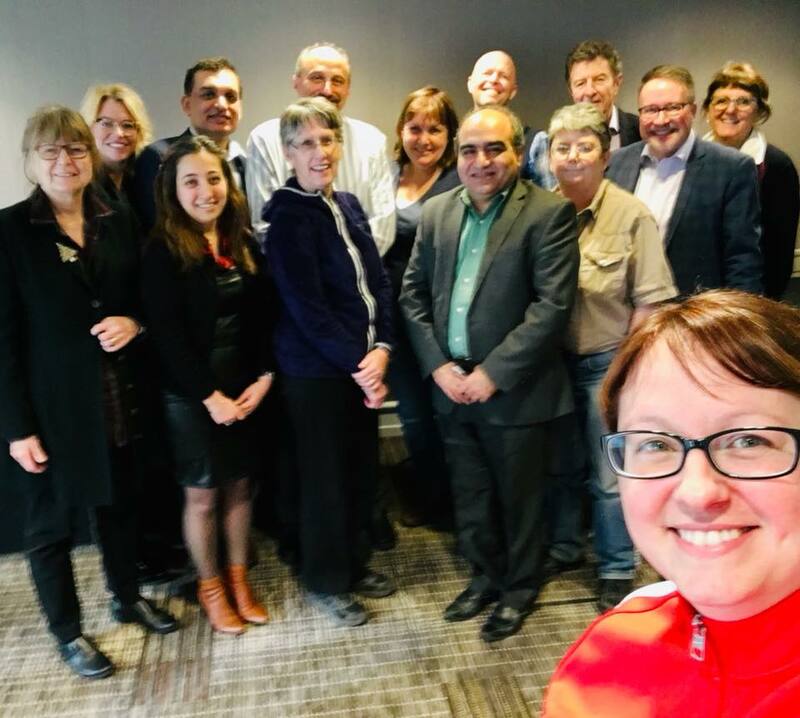 On December 14-15, 2018, three members of the Action CIND team were privileged to attend a workshop organized by the Institute of Musculoskeletal Health and Arthritis of the Canadian Institutes of Health Research (IMHA-CIHR). 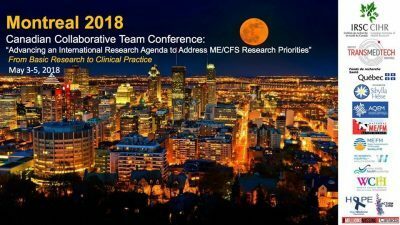 It was held in Montreal and was designed to assist the team of Canadian researchers, doctors and patients with their preparation for the next CIHR grant that is expected to be offered in the spring of 2019. We want to thank Dr Khan and the CIHR representatives for arranging the workshop. We also our thanks and appreciation to Dr Alain Moreau for leading the research effort and all the individuals that attended. It was an excellent workshop and we left with renewed hope and enthusiasm for the future of ME research in Canada. The following is a summary of the event. The workshop seeks to provide opportunities for the participants to strengthen their knowledge on development of a catalyst research network on ME that will lead to improvements in the diagnosis and treatments of ME in Canada. The first day of the workshop opened with a round of introductions by the participants, followed by welcoming messages from the co chairs Dr Karin Khan, Scientific Director, CIHR-Institute of Musculoskeletal Health and Arthritis and Dr Alain Moreau, scientific Director, Viscogliosi Laboratory in Molecular Genetics of Musculoskeletal Diseases, CHU Sainte – Justine Research Centre. There was a need to develop patient engagement and further innovation in research by having realistic expectations on the scope of research in diagnosis and management of ME. The emphasis was on the need to develop a Canadian bio bank on the lines of UK ME biobank as developed by Dr Nacul of London School of Hygiene and Tropical Medicine, London, United Kingdom. 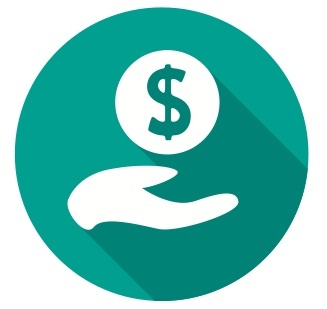 The goal was also to work towards a collaboration while participating in the next round of CIHR grant in Spring of 2019. Keynote Message. Dr. W. Ian Lipkin, Columbia University expressed that initiatives from NIH, USA and how the research quality are “very close to our hearts.” He related that, five years ago, the initiative in US created a program on product quality and development for the improvement of ME in contributing to sustainable communities. He affirmed the observation by Dr. Alain Moreau that patient communities get good benefits from this recent development of collaboration in developing new biomarkers. Dr Kathleen Kerr from Toronto’s Environmental Health Clinic talked about developing Common Data Elements from the The National Institute of Neurological Disorders and Stroke NINDS, USA and about building a Canadian cohort of ME patients and healthy controls nationwide. Dr Moreau stressed the need for developing gold standard biomarkers of molecular and cellular explanations of ME. In the afternoon there were sessions to prioritize Biomedical Research Priorities including Research priorities in clinical relationships and leveraging of talent development and knowledge exchanges initiatives. On the second day of the workshop there was an internal meeting with stakeholders on developing a national ME collaborative research network with active patient engagement in the steering committees. Also, network building strategies with the National Institute of Health, USA and UK teams. Establishment of a longitudinal well characterized cohort of ME patients and healthy controls. Identification and validation of prioritizing biomarkers for patients.